impact our local community, Israel and 65 countries around the world. This event will sell out fast. Limited seating. Make your reservations early. Corporate and Donor Patron sponsorships available. For more information, contact Julie Hartline, Campaign Associate, at jhartline@jewishnaples.org or 239-263-4205. 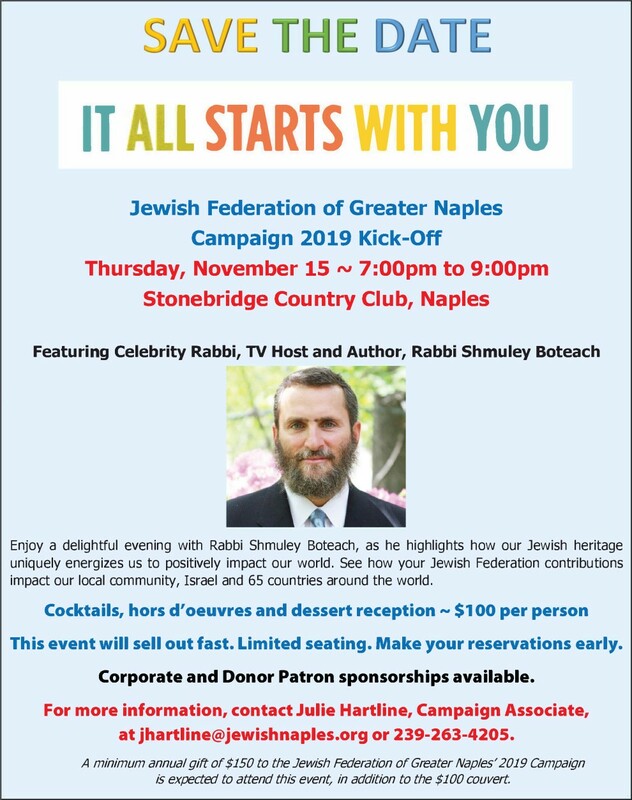 A minimum annual gift of $150 to the Jewish Federation of Greater Naples' 2019 Campaign is expected to attend this event, in addition to the $100 couvert.